Less than an acre of planted pines, never burned since planted ten years ago. Lit right up, burned real nice. 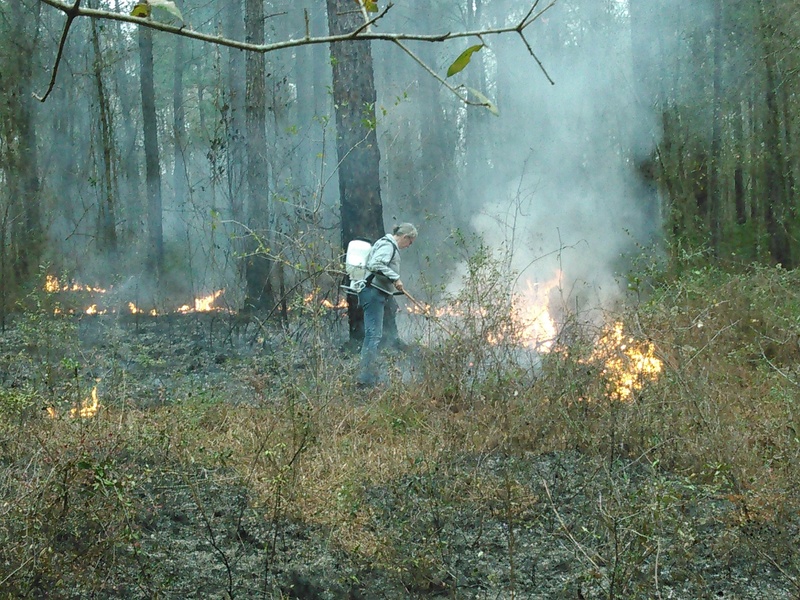 This entry was posted in Longleaf, Okra Paradise Farms, Silviculture and tagged Brown Dog, Forestry, Georgia, Gretchen Quarterman, John S. Quarterman, Longleaf, Lowndes County, Okra Paradise Farms, prescribed burn, Silviculture, Yellow Dog on February 4, 2017 by John S. Quarterman. 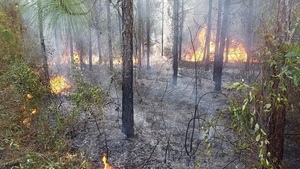 This entry was posted in Loblolly, Silviculture and tagged Fire, Loblolly, Okefenokee Swamp on November 19, 2016 by John S. Quarterman. This entry was posted in Fire, Silviculture on January 21, 2016 by John S. Quarterman. 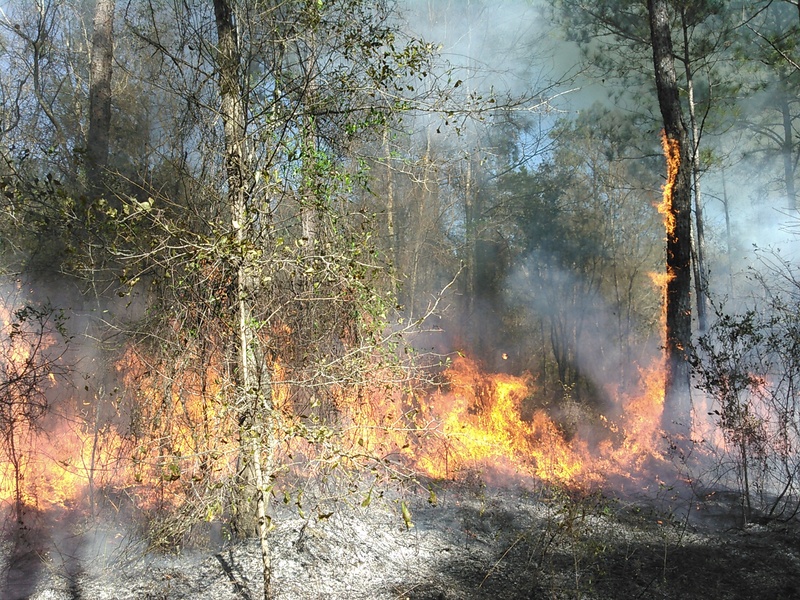 This entry was posted in Fire, Loblolly, Longleaf, Silviculture, Slash and tagged prescribed burn on January 20, 2016 by John S. Quarterman. 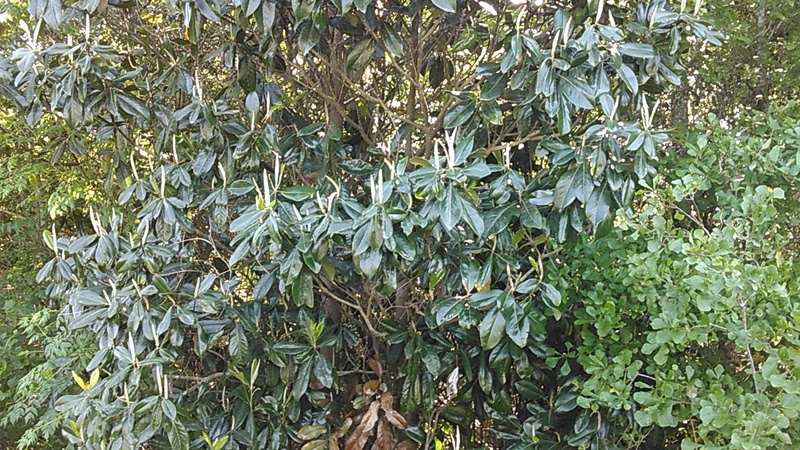 This entry was posted in Silviculture on May 14, 2015 by John S. Quarterman. 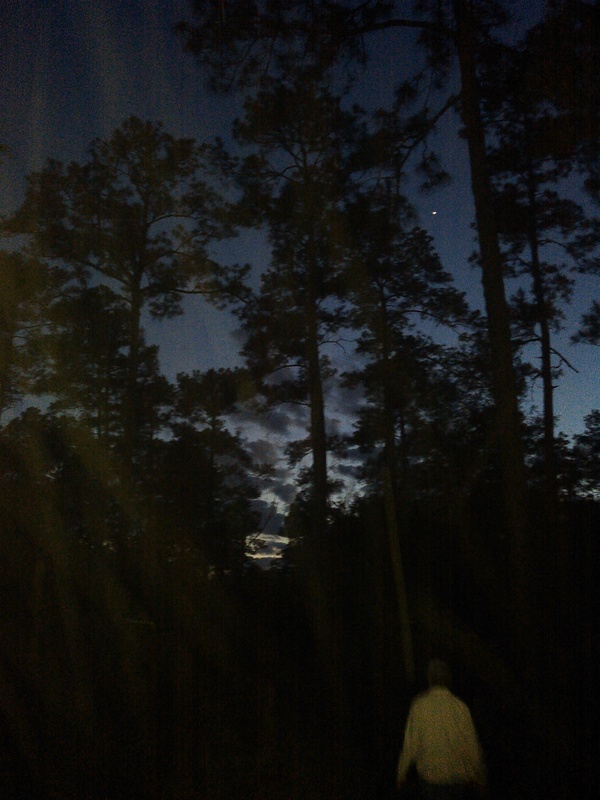 This entry was posted in Astronomy, Silviculture and tagged Venus on May 3, 2015 by John S. Quarterman. 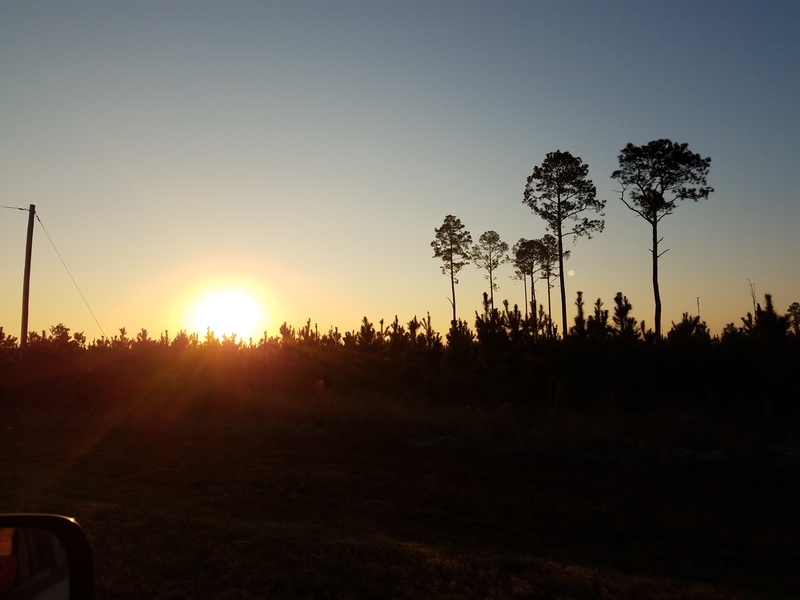 This entry was posted in Silviculture on April 26, 2015 by John S. Quarterman. 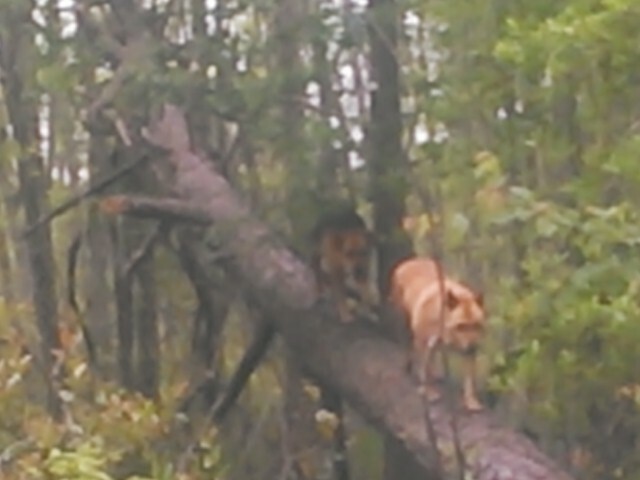 This entry was posted in Dogs, Silviculture on April 17, 2015 by John S. Quarterman. 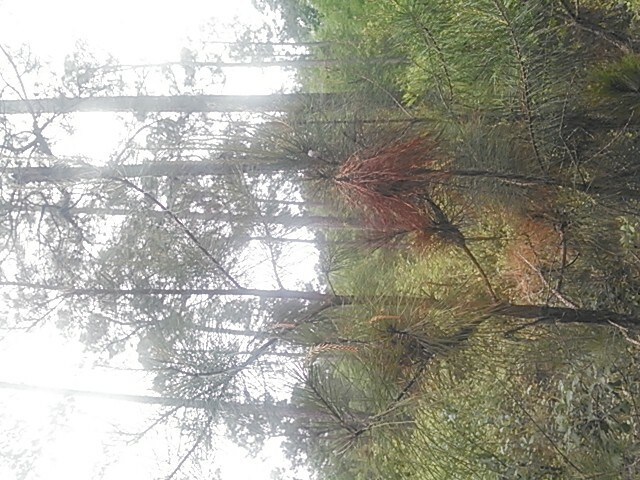 This entry was posted in Silviculture and tagged Pond pine on April 17, 2015 by John S. Quarterman. Learn more about Exotic Pest Plant Councils in the Southeast at www.SE-EPPC.org. 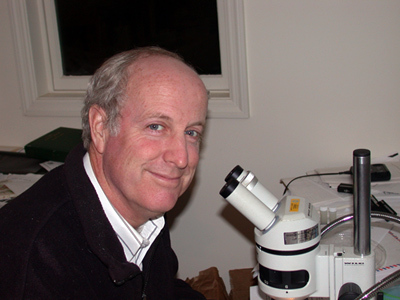 Please read Douglas Tallamy’s book, Bringing Nature Home, before the Conference in November. If you are interested in native plants, ecosystems, songbirds and other wildlife, this book will provide much useful and interesting information. This entry was posted in Agriculture, Insects, Okra Paradise Farms, Plants, Silviculture and tagged Agriculture, Bringing Nature Home, Douglas Tallamy, GA-EPPC, Georgia, Georgia Exotic Pest Plant Council, Plants, SE-EPPC, Silviculture, Southeast Exotic Pest Plant Council on January 30, 2014 by John S. Quarterman.